Before Cebu Teambuilding Facilitators Network founder Thadz Engaling left to migrate to the United States of America, he accompanied two facilitators to a business trip to Himamaylan City, Negros Occidental in late May 2016. They were there to facilitate a team building program for leaders of Silver Dragon Construction. The event was held at the company owners' rest house along the beach in Himamaylan City. The theme of the activity was "Monitoring and Measurement + Ownership = Success". It was attended by around 50 participants. It has come to our attention that competitors of Cebu Teambuilding Services have claimed that our methods are the same and that the only difference is that they charge a lesser fee. While we acknowledge that this is true to some extent, there are differences in our training philosophies. We would like to clarify and explain these differences in this post and how these things impact the conduct of the training programs that we do. 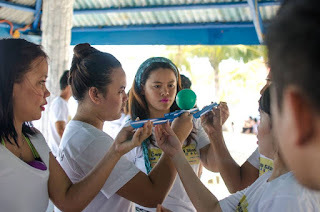 Like many other team building services providers in Cebu and the entire Philippines, we at Cebu Teambuilding Services also employ play-based activities in our team building programs. We listed down several reasons why we chose play as our method. FG Cebu Gadget Shop proprietor Frederick Gloriba was just so happy to have let his employees experience a team building program for the first time. He says that had they not hired a facilitator to implement a program for them, they would have ended up just drinking and accomplish little. Cebu Teambuilding Services facilitated the team building program for FG Cebu Gadget Shop at the Pado Resort in Maribago, Mactan Island, Lapulapu City, Cebu, Philippines last 1 May 2016. Thadz Engaling was the lead facilitator and he was assisted by Nathaniel John Arong and Cebu Teambuilding Services intern Marc Dave Amagsila. For the second time, Hoven Andre Encontro provided photo and video coverage services for a Cebu Teambuilding Services training program. One of the security guards shared how happy he was to have attended a team building program for the first time. He further says that he learned valuable insights that he can use not only at work but also with his family and life in general. 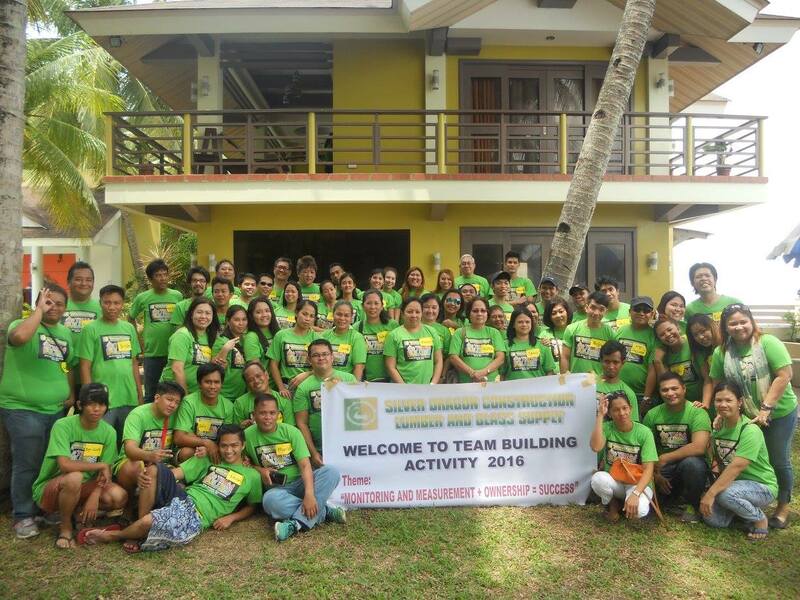 On 23 April 23 2016 I joined my fellow facilitators from the Cebu Teambuilding Services. We conducted a training program on one of the posh resorts in Mactan Island, Cebu, Philippines. With a touch of style and elegance aside from being a place for vacation and fun, Pacific CebuResort can also be great place to organize a team building program for your company or organization. “If you want to go fast, go alone; if you want to go far, go together.” This African proverb simply grasps what had happened in Pacific Cebu Resort, one of the many resorts in Lapu-Lapu City,Cebu, Philippines that are conducive for team building programs and other recreational activities. 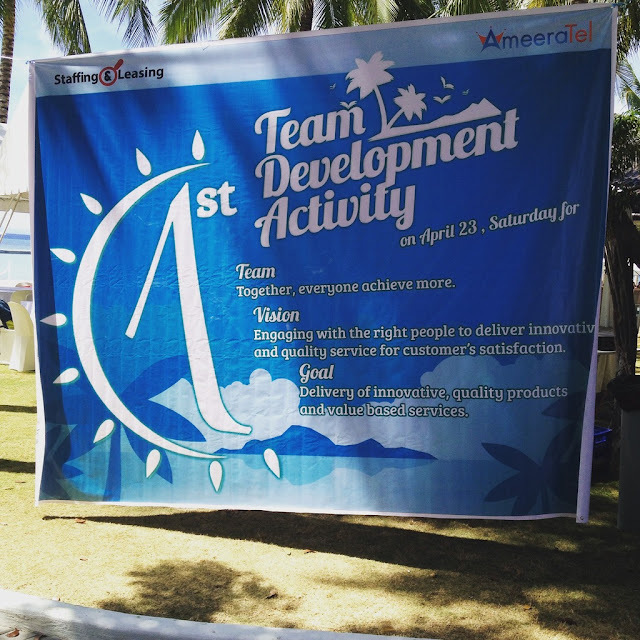 The main facilitator, Thaddeau Engaling II, together with his co-facilitators Marc Julius Rizada, Clint Eduard Fuentes, and Kevin Johnrey Sosas, were all set to conduct the team building program for Ameeratel, a business process outsourcing company based in Cebu City, Philippines. The whole event was documented by Hoven Andre Encontro. Introductions took place in one of the function rooms of the resort in Mactan Island. Because the participants looked drained from the travel from their place of gathering going to the venue, the mirror activity was conducted as an energizer. Here, the participants were instructed to choose a partner and assign to themselves who will be person A and person B. One person would be acting as the mirror while the other one looks at the mirror. The one acting as the mirror would raise his open-palmed hand and that person’s partner would have to look at it and follow it wherever the mirror moves and however it is moved. This was done with 2 rounds for everyone to experience both roles. Everyone hesitated to move around at first, but eventually took their sweet time on moving on their own accord. Some were very creative, others were conservative. The room was then full of lively and energetic people. After which, it proceeded to World’s Record as the GTKY or the Getting-To-Know-You activity. In here, they were instructed to arrange themselves according to a designated category starting from the left of the facilitator going to the right side of the facilitator. They were challenged with three rounds of categories in which they have really done well. After each round, they get to ask those beside them questions about them. The participants even threw their own questions during the asking part of the activity. They were then made to settle down after the activity. The participants were then grouped by table and were asked to huddle in setting their expectations for this day. They were asked to give an expectation or expectations to the training, the facilitators, their co-participants, and to their selves. Each table was asked to have one representative to speak for the group. Of course, the facilitators also laid out their expectations to the participants by having the ground rules set on. Then we proceeded to the activities. First up we had the Helium Ring. The participants were divided into three and were each given a hula hoop ring. They were instructed first to set a particular height they think they could do. They were then given the rest of the instructions. When there were violations to the given instructions, the assigned facilitator in the group would inform them to take a reset and start all over again. All the groups had their struggle even if others have been exposed to it from a previous event or activity. As they all kept on restarting, eventually all groups achieved the goal of putting the ring down to the ground. They all pointed out teamwork and cooperation were key points that made them achieve their goal. The main facilitator explained about Stage of Team Development before going out to have lunch. They were given another energizer in preparation for the next activity after lunch. Forming a big circle and facing to their right, they were instructed to massage the one in front of them prior to the facilitator’s instructions. Another one was conducted to initiate interaction between the participants. After lunch and energizers, participants went through the Minefield activity. This time, the participants were separated into three groups, the same as the previous grouping in the morning. They were instructed to choose a representative to give out directions when the activity begins. They are to travel one by one from point A to point B with their eyes closed and at the same time avoiding the obstacles and not going out of the boundaries set. For a few minutes, everyone struggled to get past the obstacles. They need not to be told that they have to reset by the facilitators since they themselves go back to the beginning when they hit an obstacle. When the one person got through, everything else followed. Though not everyone accomplished the activity, most of them got it. Everyone had mixed emotions as to what happened during the activity. They pointed out communication and leadership which were the core values that would have allowed them to complete the challenge. This led the participants to talk about simple things about what has been happening in their workplace and made everyone aware of what they are currently facing. The facilitators wrapped things up from the beginning until the last activity, briefly explaining to them how this is just a stepping stone for them to become even better, not just as a group or a company, but also as individuals. As the facilitators have emphasized by the end of the program, “We can only do so much on this day. Everything else after the program is entirely up to you”. Note: This article was written by Kevin Johnrey Sosas, a team building facilitator affiliated with Cebu Teambuilding Facilitators Network since 2013. He was a facilitator for the Ameeratel BPO team building program 2016.